The online version of this article (doi: 10.1186/1471-2466-14-194) contains supplementary material, which is available to authorized users. Noninvasive ventilation (NIV) has been recognized as a means to avoid intubation during ARF and to reduce the risk of complications, such as ventilation-associated pneumonia, especially in immunosuppressed patients . NIV could be a valuable option for management of respiratory failure in patients with DILD, especially if an early treatment is initiated [7, 8, 9]. Recent literature has shown that the survival of DILD patients receiving NIV seems to be higher in comparison to those who require invasive mechanical ventilation . So far no randomized controlled trial has evaluated the efficacy of NIV in patients with DILD undergoing an episode of ARF. Although a lack of data exists on this topic, NIV is often used in DILD patients during an acute deterioration in daily clinical practice. Furthermore, NIV use in this population of patients is increasingly taken into account in light of several data showing high rates of mortality in patients with DILD undergoing ETI in the ICU [11, 12, 13]. In light of the heterogeneity in terms of both fibrosis and etiologies of ARF, the identification of the right patient to which propose a trial of NIV is crucial in the management of patients with DILD and ARF. Our study did not identify differences in NIV response in terms of oxygenation based on the type of DILD, but the cause of ARF. 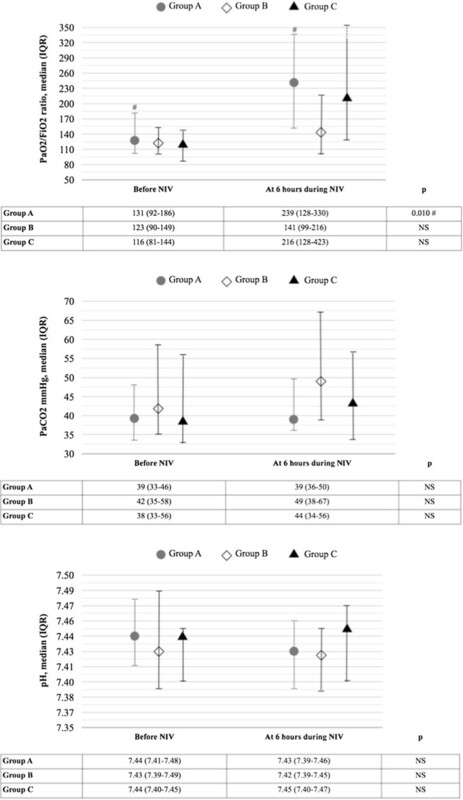 Particularly, we indirectly confirm the efficacy of NIV in terms of alveolar recruitment during episodes of pneumonia in light of the improved PaO2/FiO2 ratio during ventilation compared to spontaneous breathing. Cosentini et al. 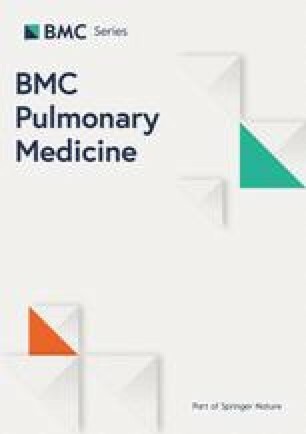 demonstrated that the application of non-invasive CPAP improves oxygenation in patients with pneumonia and reduces the risk of meeting ETI criteria in patients with severe hypoxemic ARF due to pneumonia compared to oxygen therapy [14, 15]. More recently, Carrillo et al. demonstrated that outcome of NIV applied to patients with severe CAP is significantly better in patients with chronic cardio-pulmonary diseases than in denovo ARF . On the other hand, the use of NIV in patients with acute exacerbation of fibrosis does not seem to guarantee an improvement in oxygenation in our cohort of patients, exposing them to possible NIV-related adverse events, such as pneumothorax or pneumomediastinum. We recently reported evidence of morphological and physiological effects of the application of non-invasive CPAP during ARF sustained by pneumonia in a patient who underwent lung transplantation because of IPF . We found that the application of CPAP equally increased lung volumes of two hemithoraces affected by different diseases, IPF and pneumonia, evaluated by thorax CT scan. The application of a positive pressure on the IPF lung resulted in minimal overdistention, while in the transplanted lung with pneumonia we detected a recruitment of consolidated areas.